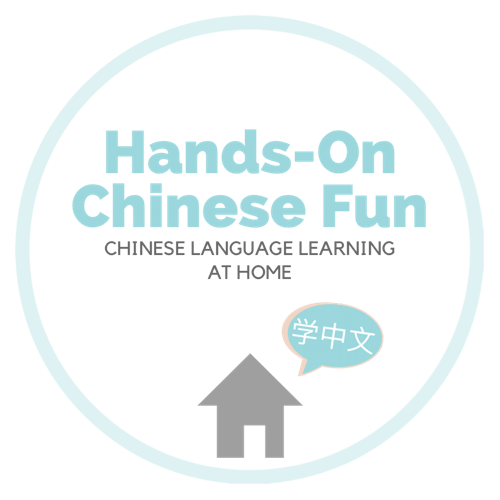 McG – Page 2 – Hands-On Chinese Fun! You may be surprised to hear that despite owning thousands of Chinese books, this is my very first set of bilingual books. Most bilingual books I’ve seen are written with very simplistic Chinese vocabulary as they are targeted towards children who are just learning Chinese. I prefer books with interesting vocabulary and sentence structure that are written by native speakers. I was immediately intrigued by Kids Joy Traditional Chinese Toys Book Set, written by three moms who grew up and attended college in China and moved to the USA. This book set comes with 5 hardcover storybooks + 1 free coloring book in a sturdy box. If you do not speak or read Chinese, there is read-aloud audio found on their website or scan the QR code in the book. The audio is read by a professional TV host in China and I was impressed with the high quality. Each book has a heartwarming storyline. For example, in the 不倒翁 (tumbler) book, the theme was being like a 不倒翁 and not give up when you face obstacles. I really like the “Did You Know?” section that gives a brief history of the toy. Who knew that these toys have been around for thousands of years and were played in the royal palace? At the end of each book there are instructions for you to make your own toy! Little Man was really excited to kick 毽子 (shuttlecock) and I really appreciated that the materials were things we already had at home. Good way to re-purpose plastic bags too. 😉 There are also video instructions on the website. Overall I find it a very cute and meaningful set and it introduces Chinese culture in a fun, interactive way. There were quite a few new vocabulary that he did not know so it was a good learning experience. This contest will run from Sep 12, 2018 – Sep 20, 2018, 7pm CST. One winner will be selected at random. The winner will receive a Traditional Chinese Toys Book Set (5 hardcover books + 1 coloring book) worth $49.95 sponsored by Kids Joy. Contest is open to participants from any country but the prize will only be mailed to a U.S. address. Each person can have a maximum of two entries, as listed below. The winner will be contacted via Facebook Messenger after the contest ends to claim his/her prize directly from Kids Joy. Must Like and Comment on this Facebook post with why you wish to win the prize. (Optional) For an extra entry, Share this Facebook post. Remember to set the post to public. Disclaimer: Book set was provided by Kid Joy for review. Opinions are my own. As you probably already know, I am a big fan of 四五快读. I have a few other blog posts like how we use it and how I organize our materials, but I wanted to wait until I finished the entire curriculum before I wrote a review. Here’s a general overview of our experience. Background: My son grew up in a 100% monolingual American English environment for his first 4.5 years. When we started 四五快读 he barely knew any Chinese and I taught him both the character and meaning at the same time, e.g. “This is 天. It means sky.” When we started Book 1, he didn’t even know what 火, 木, 云 meant! Time: We started when he was 4 years 10 months old and completed at 5 years 7 months old. It took a total of nine months diligently working on it every day for about 15 mins. As the name of the series suggests, it is designed for 4-5 year olds. Of course it could be used for younger/older children too, but younger children may not have the attention span and older children might find the animal stories kinda lame. Outcome: He can now read around 700-800 characters, short stories and simple storybooks. Technically the series covers a total of 825 characters but he has forgotten some of them. For those of you from Singapore, this is basically means he’s covered most of the characters in the P1 syllabus and a substantial portion of P2 (however he cannot write any of them). Builds up a child’s confidence from reading simple sentences with lots of pictures to long stories with hardly any pictures. THIS IS THE BEST THING ABOUT THIS PROGRAM! It trains kids to not be afraid of long pages of text. According to the author, child should be able to read about 80% of the words in children’s books after completing this series. I would say this is pretty accurate. I won’t say that my son loves 四五快读 because that would be a lie. I had to deal with a lot of complaints initially but he is now used to 四五 as part of his daily routine and doesn’t mind it. He is very proud of what he has accomplished and has even brought 四五 to his preschool for Show & Tell! Some readers mentioned to me that they bought the series but find it so intimidating. I freaked out too and thought there’s no way my kid could learn all that. Here’s a tip: only look at the book you’re on and don’t look ahead! Focus on taking baby steps every day. During the course of the last few months while doing 四五, I also massively acquired Chinese storybooks and read to him as often as I could. It started with 1-2 picture books a day to now 1-2 hours of Chinese books a day. ME reading, not him. The impact of this on his language development was HUGE. His Chinese vocabulary and grammar exploded and he became able to read with increased speed and fluency. You will notice in the videos that somewhere along Book 3, he stopped reading character by character and started reading by chunks. Because I did not expose my son to Chinese until 4.5 years old, he has substantial difficulty with pronunciation of tones. I did not take this seriously at first because I thought he would eventually figure it out with time. Well, turns out we got until Book 8 and he STILL did not figure it out by himself and basically sounded horrendous since the stories were now very long. The longer the sentence, the more inaccurate his tones were. Improving my own pronunciation. I’m usually kinda lazy and mumble a lot but I make a conscious effort to pronounce as clearly as I can. Having him repeat after me, bit by bit. At first he could only imitate 2-3 characters with the correct tones, but he slowly became able to imitate 4-5 characters then longer sentences accurately. Taking a step backwards and reading EASY books. We practiced My First Chinese Words readers which has one repetitive line per book. After several weeks of my intensive boot camp, he became a lot more conscious of tones and got better at certain combinations which are hard for him (e.g. a lot of fourth tones in a row). Overall I would say he has improved markedly because I only have to correct him about 5 times per story now instead of 5 times per sentence! Please follow me on Facebook for our latest videos and updates.